It is now day 10 of the experiment. 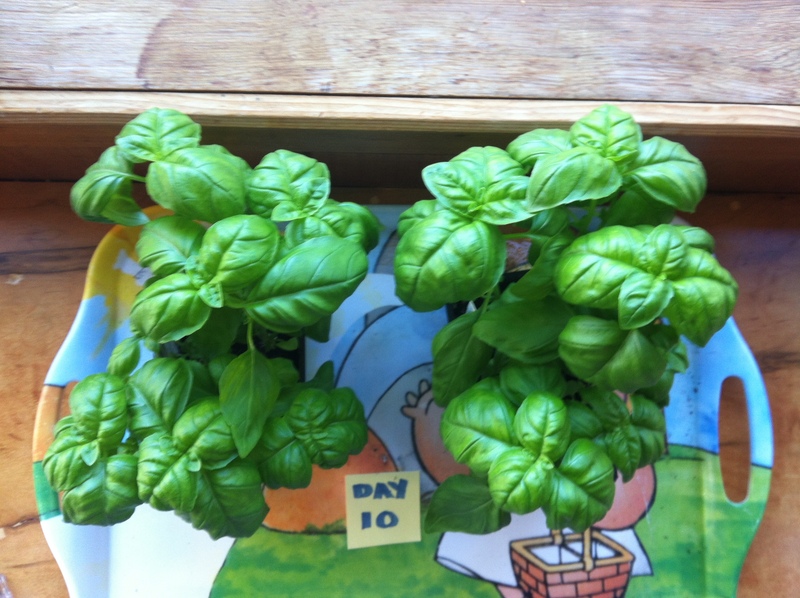 Here are two different shots of the basil plants. In both pictures, the plant to your left is the one given microwaved tap water left to sit overnight. On the right is the plant given tap water left to sit overnight. The plant on the right is marginally taller. No drastic signs of dramatic death in the plant given the microwaved water. I’m now curious about the details and methods used from experiments a few of you have contacted me about…. Ie: were they microwaving plastic containers? 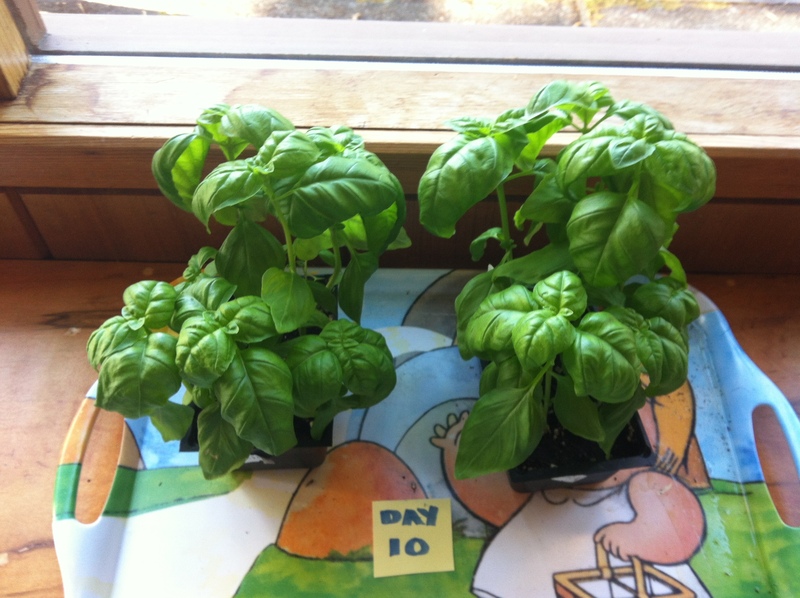 This entry was posted in Uncategorized and tagged Microwaved water to plants experiment, water on May 8, 2013 by Gurdeep Stephens.